• Build with bricks up to the roof level. (1) Currently, reconstruction work has exceeded all of our expectations, and the constant flow of reconstruction volunteer applicants has been overwhelming but encouraging. For each house, initial reconstruction work consists of basic labor (shoveling, cement mixing, building the foundation, etc.) and evolves into more advanced labor (masonry work and carpentry). Unfortunately, we are receiving far more unskilled volunteers than those who are skilled, which can at times leave volunteers with little reconstruction work to do once basic labor is completed. Global Crossroad is not discouraging unskilled volunteers from applying for our tsunami reconstruction projects. However, all volunteers should realize that there may be more work at some times than at others. With experience, we hope to resolve the issue. (3). Following the devastation of the tsunami, many things are not in order in Sri Lanka. Volunteers should expect delays in construction materials, masons, transportation etc. and should be willing to follow the rules and requests of local coordinators and engineers. These rules and requests change frequently and often with very short notice, which is beyond the control of Global Crossroad. Therefore, please be flexible. Global Crossroad manages local Sri Lankan food three times a day. Breakfast is served before volunteers leave for work. Lunch will be brought to the volunteers on site, at a nearby beach, or at the hostel. Dinner is provided in the evenings. We offer buffet-style meals (also good for vegetarians). Global Crossroad offers mineral water at the project site only. Any additional water and/or soft drinks are optional and will be paid for by volunteers; however, the cost for these is nominal in Sri Lanka. It has also become a practice for volunteers to bring fruit and snacks to the project site for break time (mid-morning). These are paid for by the individuals. Accommodations are comfortable but very basic. Volunteers will be placed in a locally owned and operated hotel or guesthouse, and will share a room with one or more volunteers. Volunteers will also share a bathroom (sometimes with a family). 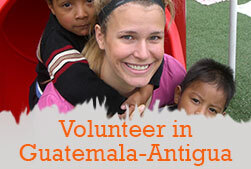 It is recommended that volunteers bring their own bed sheets, pillowcases, and blankets if they wish. A flat sheet and pillow are provided. Rooms consist of a bed and limited space for personal items. Like other similar developing nations, Sri Lanka has a much lower standard of living than that to which most Westerners are accustomed. Please note that if you feel uncomfortable with or unable to adapt to living conditions such as these, we strongly suggest you reconsider applying to this program. 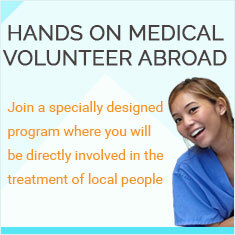 The program fee does not cover additional costs if volunteers wish to stay longer or travel to other parts of Sri Lanka. Our local staff will be glad to offer travel advice. We can provide telephone numbers if you choose to book a tour or hire personal transportation. Volunteers arriving before noon will depart with the noon group; all volunteers arriving between noon-7 p.m. will depart at 7 p.m. Volunteers are requested to report to the main exit of the airport at these times. A member of our staff will be carrying a sign with your name and/or the name of Global Crossroad. If you arrive on a day other than the regularly scheduled pick-up days, you are required to arrange your own transportation and go directly to the project site. You can directly go to a nearby hotel. A room will cost from $30-$50. Global Crossroad DOES NOT cover the expenses of volunteers who arrive earlier or stay later than the fixed project date. Again, volunteers arriving before or after scheduled pick-up days (day before project starts and day project starts) are responsible to pay for ALL TRANSPORTATION EXPENSES to Galle. 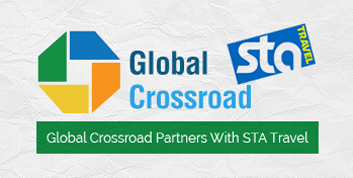 Global Crossroad has worked with SEARA Travels International, PVT. LTD., to receive our volunteers at Counter No. 18 - Arrival Walkway (inside the airport). You will meet an authorized person at the airport counter no 18. Our authorized airport representative will pick you up from the airport and transfer you to our nearby pre-arranged hotel. International telephone and Internet services are available in Galle, the town nearest the project sites. Taxi service or a tuk-tuk (three-wheeler) costs approximately $1-$2.50 to travel to Galle from your hotel. English newspapers are available in town; the Internet is available in central Galle for approximately $1.80 per hour. Laundry service is available at the hotel for a fee. There is also a clothesline on sight for those who choose to hand wash. Be advised that there is no hot running water. Average outdoor temperatures are 36 C.
To date there have been no reported cases of malaria in Galle. However, it is recommended that you use a mosquito net and adequate DEET repellant. We require all volunteers to provide and wear work gloves and proper footwear. Scorpions, snakes, and centipedes can be a problem. You will be reminded to shake out your clothing and shoes prior to putting them on. You are advised to walk on the right side of the road facing oncoming traffic. If you are not from a country with right-hand drivers, be especially careful crossing the street. Due to snakes and scorpions, shoes are recommended for walking at night.